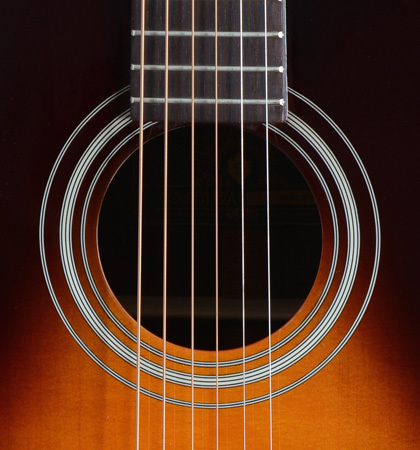 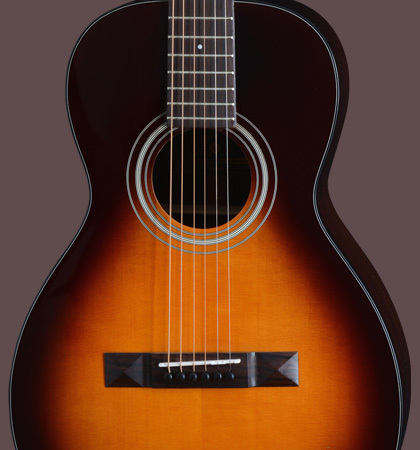 If you are looking for a solid Parlor acoustic guitar with a noble Sunburst lacquer finish, you might have found your dream guitar with this instrument. 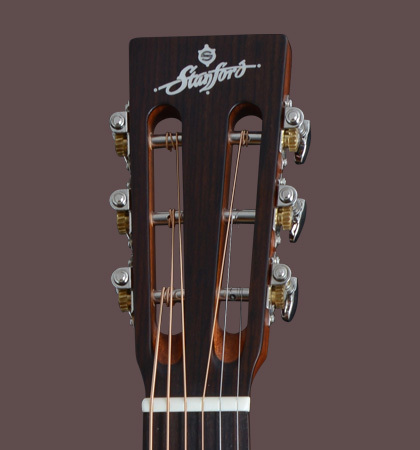 The very popular wood combination of spruce and rosewood brings a smile especially to the lips of blues and fingerstyle guitarists. 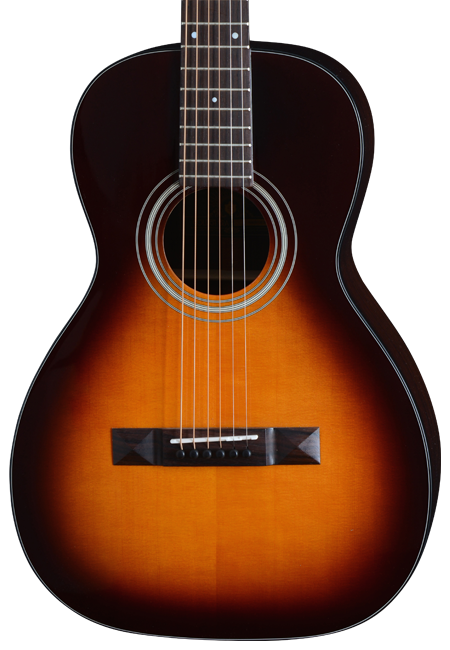 The well thought-out bracing in combination with the very thin varnish is a real volume-maker and makes this small guitar sound great.